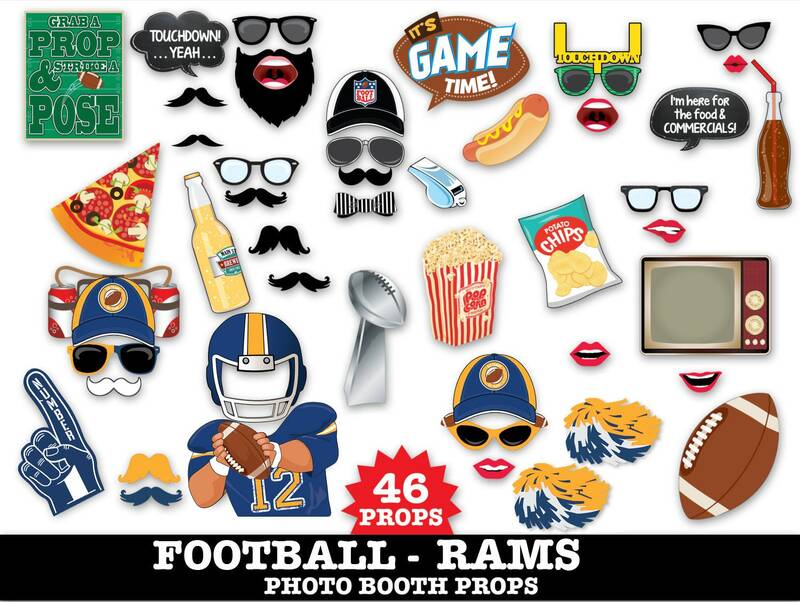 (¸.·´This Rams FootballPhoto Prop Kit includes: Referee Hat ★ Bow Tie ★ Whistle ★ Popcorn ★ Beer Bottle ★ Pizza Slice ★ Potato Chips ★ Hot Dog ★ Soda Bottle ★ Trophy ★ Retro TV (or use a a frame, cut out for a fun photo frame) ★ Football ★ “it’s Game Time” Bubble ★ Touchdown Sunglasses ★ Sunglasses (3) ★ Glasses (2) ★ Beard Yelling ★ Mustaches (5) ★ Lips (5) ★ Yelling Mouth ★ Grab a Prop Sign ★ Editable Speech Bubbles (2) ★ ★ ★ ★ PATRIOTS: Football Player Body ★ Helmet ★ Soda/Beer Hat ★ #1 Finger ★ Team hat ★ Team Color Sunglasses ★ Football Sunglasses ★ Cheer Pom Poms ★ 3 Team Color Mustaches ★ Instructions, plus Information for materials needed & paper suggestions. ★ NO physical item will be shipped! This item is an instant download product, so you can get crafty in a jiffy! NOTE: Each printable page fits within an 8.5”x11” letter or A4 paper. 110lb cardstock is recommended. With this kit you may print as many as you need. For best results, use the free Adobe Reader. 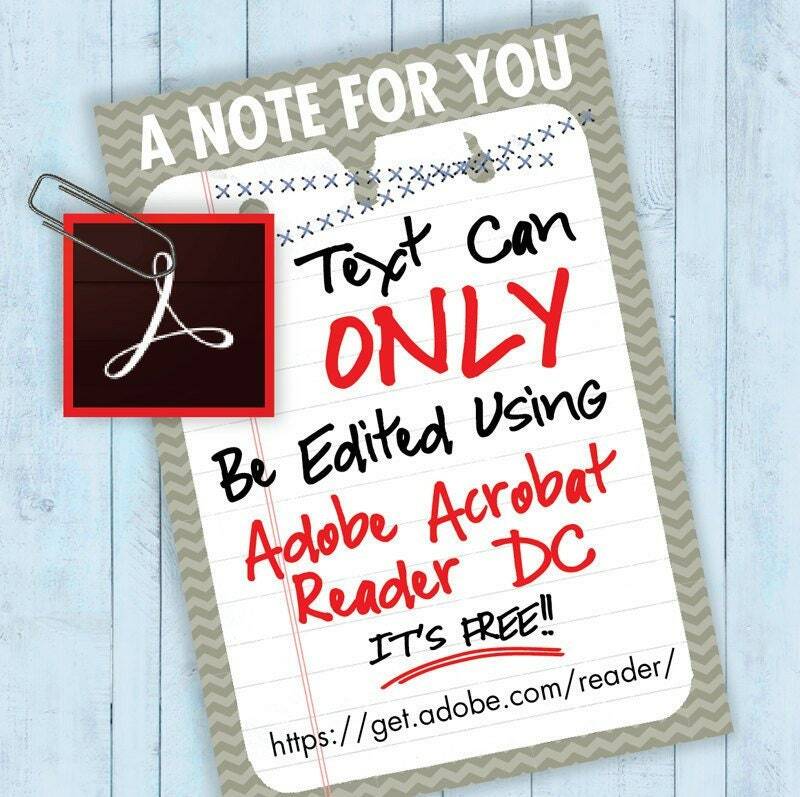 → All PDF Printable Files are locked & only work in the FREE Adobe Reader. → The fonts used in the PDF Prinables are already embedded in the file. → Fonts, colors, sizes, graphics or backgrounds cannot be changed/edited. → Mac users, please use the FREE Adobe Reader. → You can NOT print my PDF printable files at photo lab as a photo. → Please see shop policies, for FAQ’s, and my shop printable policies. Buy smiles & memories. Buy playful retro printables. Buy SimplyEverydayMe.